Armed with a pair of rotor cannon and a lightning gun, the Vorax are prepared to meet most threats. 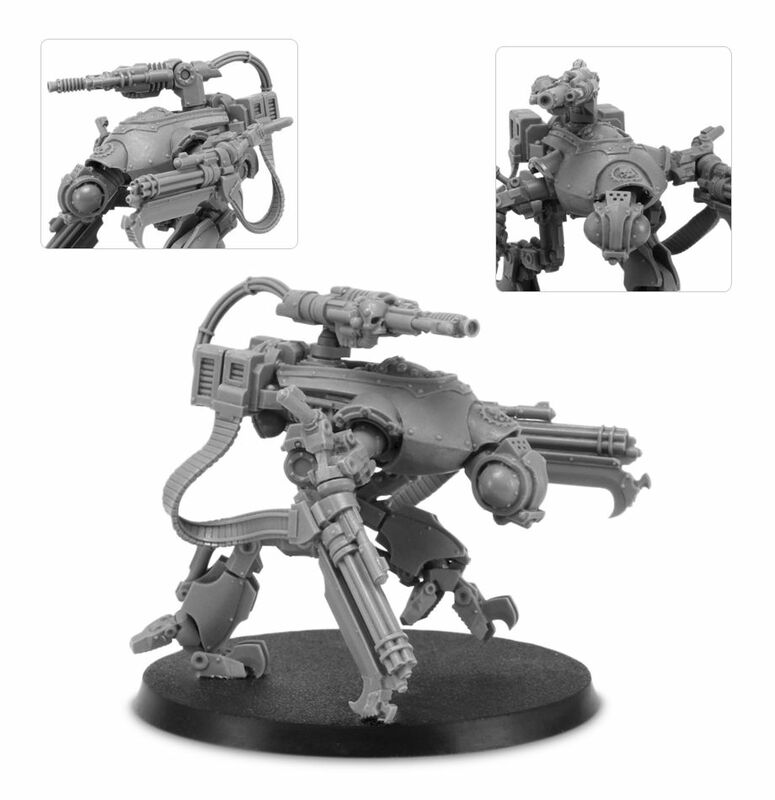 At close quarters their Battle-automata power blades make short work of even heavily armoured infantry units. 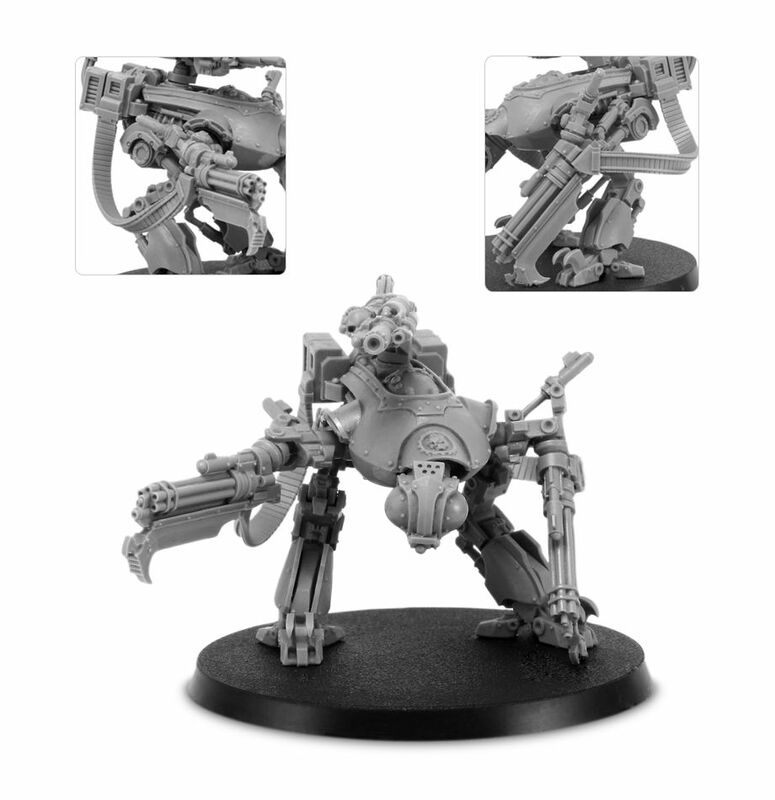 The Vorax Battle-automata is a complete multi-part resin kit, designed by Will Hayes. 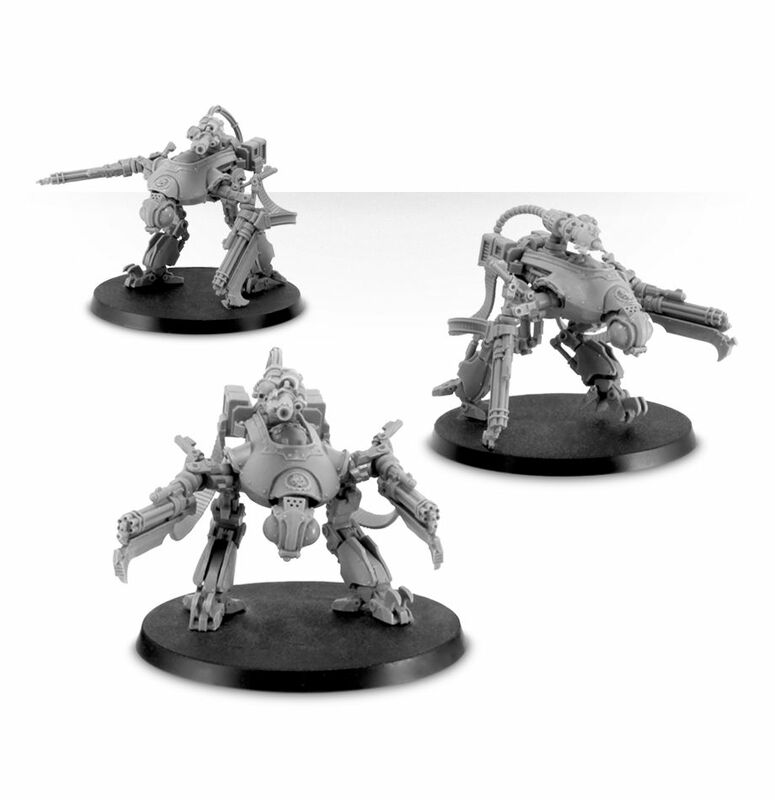 The kit consists of three Vorax class Battle-automata armed with lightning guns, with an optional Irad-cleanser. 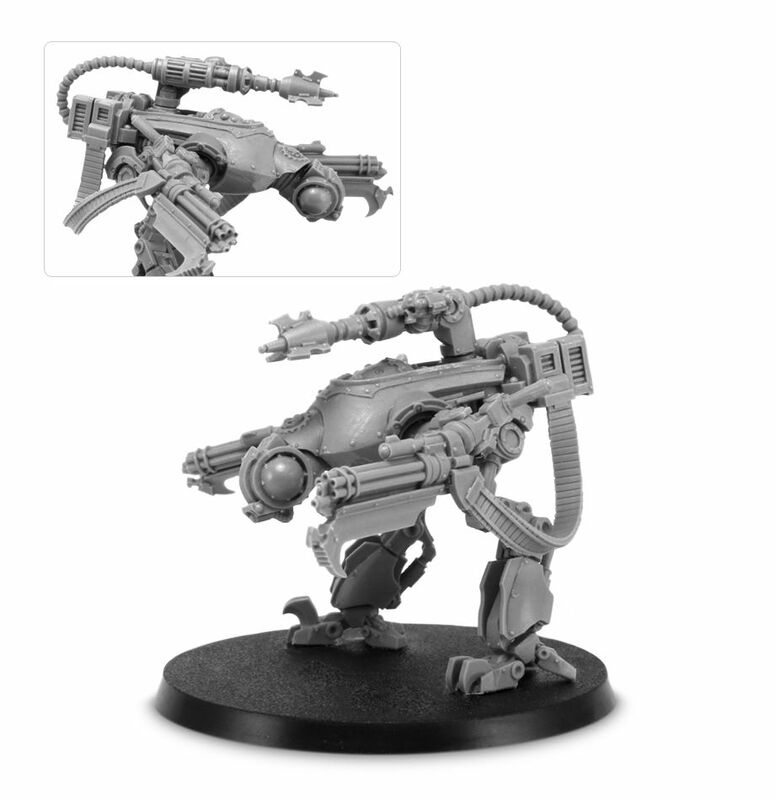 The Vorax class Battle-automata are a fast attack option for the Mechanicum Taghmata Omnissiah army list found in The Horus Heresy Book Three - Extermination. Submitted by Miniset on 30 October, 2015 - 10:26 (286592). 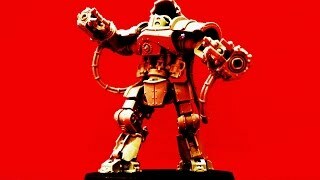 The Domitar Class Battle-Automata is a huge war robot used across the forces of the Mechanicum in the Horus Heresy era. 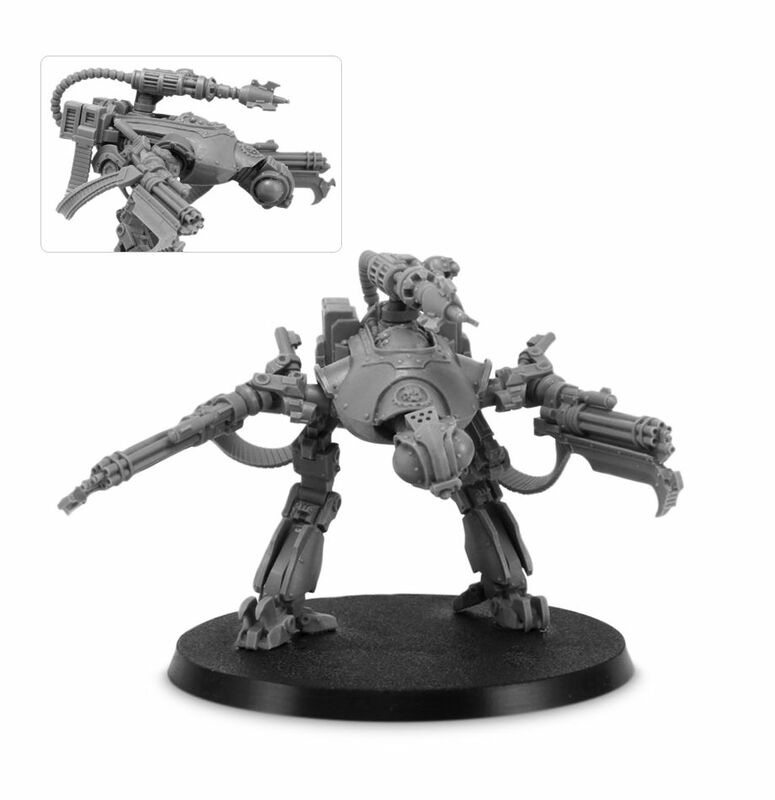 Armed with a pair of Graviton Hammers this un-living war machine can bring melee devastation to those who dare oppose the will of the Omnissiah in the age of darkness.